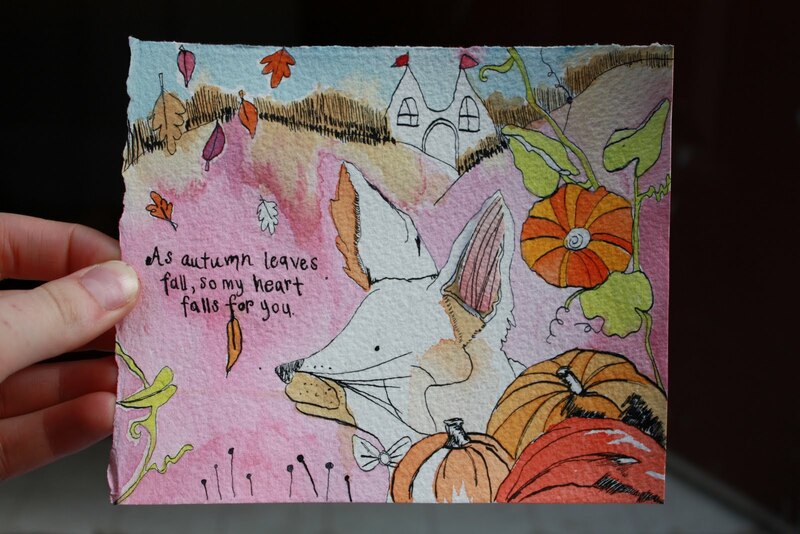 The latest and greatest..Is Mr.Fox- he enjoys fall. As do I. This was my art submission for Market Collectives upcoming Fall market poster. Also I am going to be doing a smaller series that will be available to purchase soon-ish. Oh Elise, I love this. Mr. Fox is very sweet. Babe this is too beautiful!!! gar how simply divine are foxes!